As you may or may not know my father has a few mobility problems, and a while back he built a winch controlled platform to help him get in and out of the bath. Up until now there haven't been any problems with it, but recently the momentary switch has started to show intermittent problems. It still raises and lowers the winch, but it has an extra function that isn't working well. When the switch is released it returns to the centre position and places a short across the motor. This is important because it adds something called "Dynamic Braking" to the winch. When you short out a motor like this it's equivalent to putting a brake on it, if you leave it open circuit the winch won't hold loads and will slowly lower what it's holding. In this case that is my Dad. Getting in and out of a bath on a platform that slowly sinks is almost impossible. We've had this problem before, but were able to clean out the switch and get things working again. 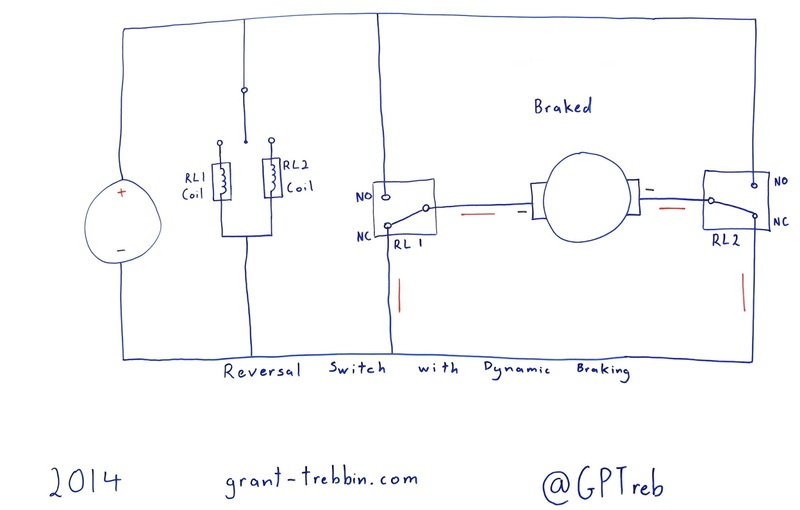 I would have liked to replace the switch but the dynamic braking feature can't be replicated with a normal DPDT switch, and I can't find a replacement anywhere. Even though I'm holding one in my hand everyone I've spoken to says they don't exist. I could have bought something like the product below, but with shipping it would have cost me around $100, and if it were to brake somehow, it's not easy to get hold of another one. Last time this happened I came up with a contingency plan using standard off the shelf automotive relays, so I dusted that off, made some improvements and started building. I had a few requirements when designing the system. It had to made of easily obtainable parts, and it had to be reasonably easy to service. In case I'm not around Dad can fix it himself. It also had to be as waterproof as practicably possible. This was to prevent the same problems with water ingress that caused the last one to fail. This is what I came up with. This was a difficult project, technologically, it's far from ground breaking, the biggest problem was trying to source quality components from places like ebay and the local electronics store at a reasonable price. Nothing was exactly what I wanted, I just had to make do with what I could get. The first thing I had to do was determine the current draw of the motor. Since I didn't have a meter that would measure such a high current I had to build an adapter. It turns out that the maximum current draw is about 25 Amp. Although I would have liked a bit of headroom, I used this as my design current. All the components I could easily source were rated for 25 Amp or higher, and since it's not in continuous operation, I'm happy with that. It might only operate for a maximum of 30 seconds at a time. The operation of the circuit is pretty simple, it consists of two relays and a momentary SPDT switch with a centre off position. The diagram below shows the operation of the circuit. It should be familiar to anyone with an electronics background. It's a H bridge motor controller, but with one important benefit. By using relays instead of semiconductors, it's impossible for shoot through current to occur. When the switch is in the centre position none of the relays are energised, connecting both of the motor terminals to the negative supply line via their normally closed contacts. This shorts out the motor implementing the dynamic braking feature. When relay 1 is energised, the motor moves forward. It's negative terminal is still connected to the negative supply line via the normally closed contact of relay 2, while the positive motor terminal is connected to the positive supply line via the normally open contact of relay 1. When relay 2 is energised, the current though the motor is reversed. It's negative terminal is connected to the negative supply line via the normally closed contact of relay 1, while the positive motor terminal is connected to the positive supply line via the normally open contact of relay 2. To control all of this I used a cheap pendant switch from ebay. It's rated to 250 Volt, 5 Amp, personally I wouldn't trust it at that voltage, but for a 12 Volt, 100 mA signal it's fine. It claims to have a mechanical interlock that prevents both the up and down connection being simultaneously pressed, but I've been able to press them both at the same time. 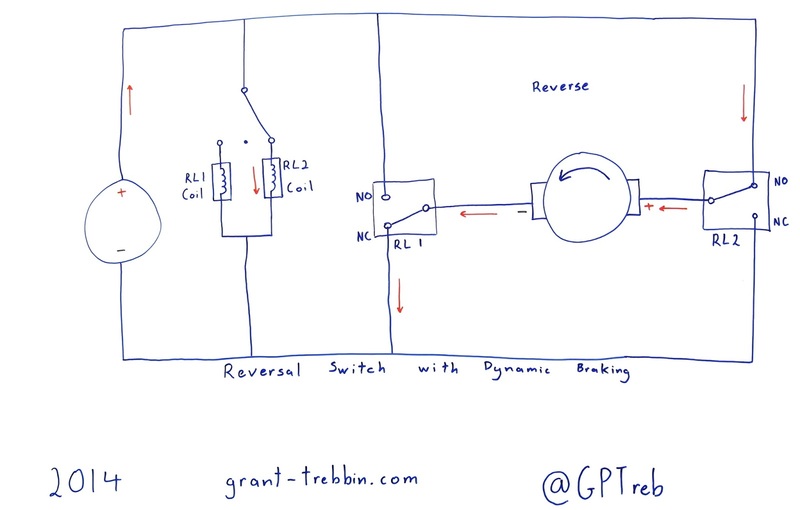 In this design that doesn't matter, all it does is active both relays and connects both terminals of the motor to the positive supply effectively braking it. The inside is straight forward. Annoyingly I couldn't get a rubber boot to fit a small cable. Apparently they exist but I couldn't source one. I intended to use an old extension cable I had, but it was too small. The easiest solution was to just get a half inch 4 core cable and use only three of the cores. A bit wasteful, but it got the job done. Finding a cheap enclosure with a rubber seal was hard enough, so it was rather annoying when it came time to install the cables and the threads on the glands were too small to fit through the case. I had to hack together a bit of a milling machine to create a recess in the case to make everything fit properly. Installation of everything required a base plate and some mounting brackets. How I went about that is described in a couple of past posts. DIY Relay Brackets and Waterproof Enclosure Mounting Plate. I did have to slightly change how the relays were mounted to create more room. There isn't anything special about the relay. It's something that can be sourced from pretty much any automotive supply store. Even though this is personal project, I wanted to try to do everything as professionally as possible. Within reason of course. One thing that really bugs me are uninsulated crimp terminals, so all of mine are insulated. If something works itself loose, it can't short out on other terminals. Even the large terminals on the terminal block are heat shrunk. I initially tried to make my own terminals, but came to my senses pretty quickly. DIY Eye Terminal Proof Of Concept and Bending an Eyelet Terminal Without Tearing the Metal describe how I went about doing things. The terminal block may seem a bit redundant, and your right, it is. In most cases the cabling could be easily connected straight to the relays, but I feel this will make it easier for my father to service it. The main board can be easily removed and serviced on a bench. After wiring up all the connections I realised I had made a mistake. 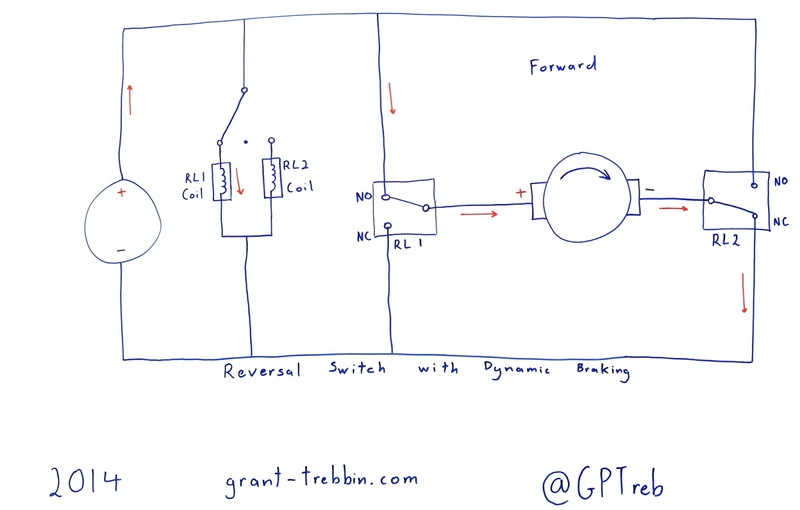 It wasn't bad, but when the circuit was in the braked position, both terminals were connected to the positive terminal of the battery to give dynamic braking. 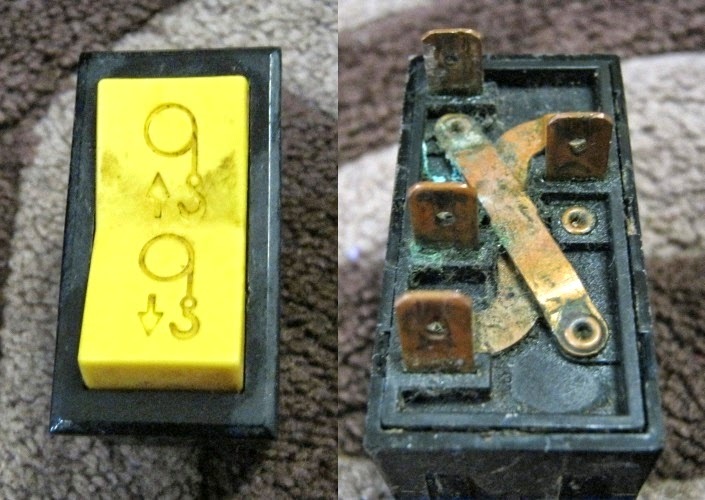 There is nothing wrong with that electrically, but from a corrosion protection stand point it isn't great. The constant 12 volts on the motor in a humid environment is likely to promote corrosion. This was easy to solve though by swapping the normally closed contacts of the relays to the negative supply rail. This also reversed the direction of the motor and was fixed by swapping the positive and negative motor connections on the terminal block. The images above reflect the way the circuit was originally connected before the changes, but the circuit diagrams above are correct. A bill of materials and a wiring schedule for this project can be found here. Hopefully this will make future maintenance easier. The diagrams below are used as a reference in the wiring schedule. I'm quite happy with how this turned out. The total cost was 140 dollars. Although that seems high, by the time I purchased an off the shelf solution and put it in an enclosure it would have cost more and replacement parts would have been harder to get. Most importantly Dad can get out of the bath easily again. Nice post! This works well. Just as an FYI, Gama Electronics sells basically the same product as Cole Hersee for about half the price. Gama's relay packs are used in some of the Powerwinch products.